Raise awareness of a start-up TV programming and technology company who would use AI and machine learning as a way to customize viewer experiences and bring it to the attention of major prospective content and distribution partners. Our efforts helped define an entirely new content category. New video content providers arrive nearly daily; BG&A needed to brand this nascent company as an innovative and unique content and delivery platform. BG&A distilled the essence of the company’s differentiators: its sophisticated software applications paired with human curation to deliver personalized viewing experiences to subscribers. We placed zone·tv at the nexus of discussions on artificial intelligence, machine learning and the related topics of video content discovery and personalization — all zone·tv product attributes. The profile of zone·tv executives was raised significantly: They were booked at NAB, NATPE, the Microsoft 2017 Media and Entertainment Day (which BG&A leveraged into a media tour of NY-based tech writers), the Pay-TV Show and the 2018 Entertainment Summit at Google headquarters, as well as Cable Congress and Connected TV London. BG&A negotiated multi-faceted, discounted advertising and brand exposure opportunities with NewBay Media; FutureNet; Fierce Networks; NATPE and other showcase organizations. 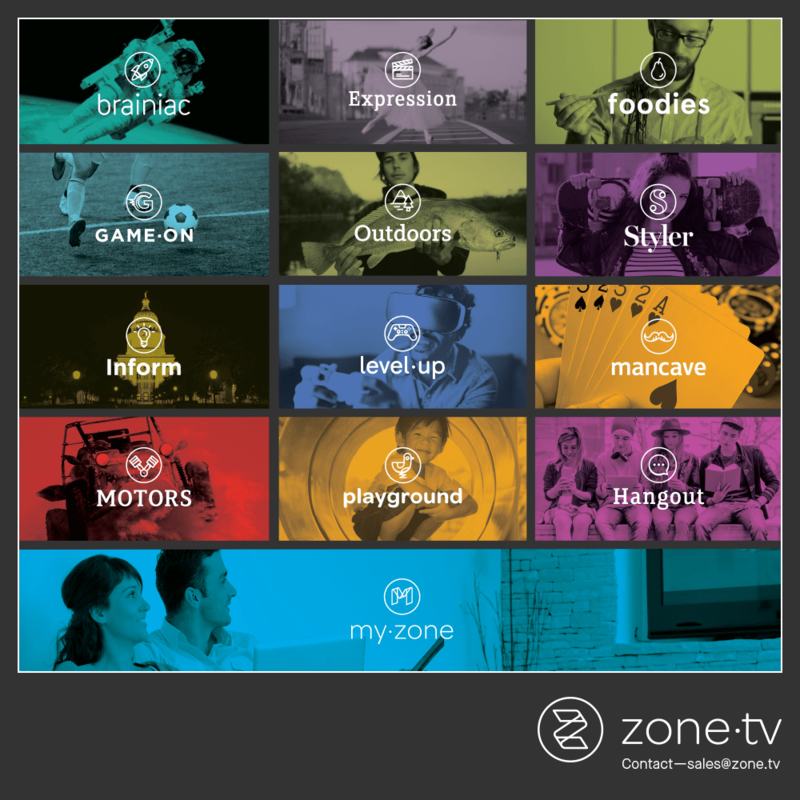 Within a year of engaging BG&A, zone·tv was in discussions or beta tests with more than a dozen major prospective content and distribution partners.